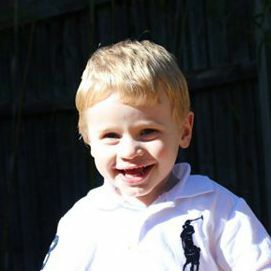 My son Jake is 3½ years old and was diagnosed with Angelman Syndrome (AS) about 18 months ago. The adventure of “A Night for the Angels” started when I attended a fundraiser for Jake’s early intervention service, “Lifestart,” in June of last year. The night was a huge success and got me thinking about how I could arrange something similar and donate the proceeds towards something that could not only benefit Jake, but many others. Nothing like a challenge I thought to myself!! So after many nights thinking about what I could pull off, I recruited my two sisters and five girlfriends. 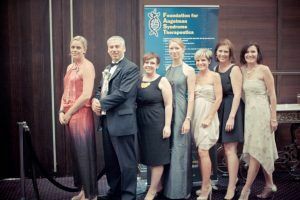 We formed a committee to host a gala dinner, “A Night for the Angels,” on Friday, March 23, 2012 at the Miramare Gardens on Sydney’s Northern Beaches. The event was a culmination of a year’s worth of committee meetings, small fundraisers, speaking events, newspaper articles, working bees, and sleepless nights! All of which were completely worthwhile. In a Google frenzy after Jake’s diagnosis, I came across FAST and was amazed by the drive, determination, and passion of the AS community. During the campaign we remained inspired and driven by the research and advancements being made towards a therapeutic for AS. If I wanted to see this happen in Jake’s lifetime, I knew that I would have to contribute just like so many other inspiring parents of children with AS were. In planning for the event, we originally booked the venue for 200 guests. We were novice charity event organizers and had no idea what to expect. We would have been thrilled to sell 200 tickets. As time drew closer, the guest list kept growing with the final number at 417 guests. W e had successfully campaigned hard enough to convince a lot of people that our night and Angelman Syndrome was worth the effort. Among the 400 + attendees, we had 44 guests from the AS community and for many of us it was the first time we had had the opportunity to meet (outside of emails and Facebook). 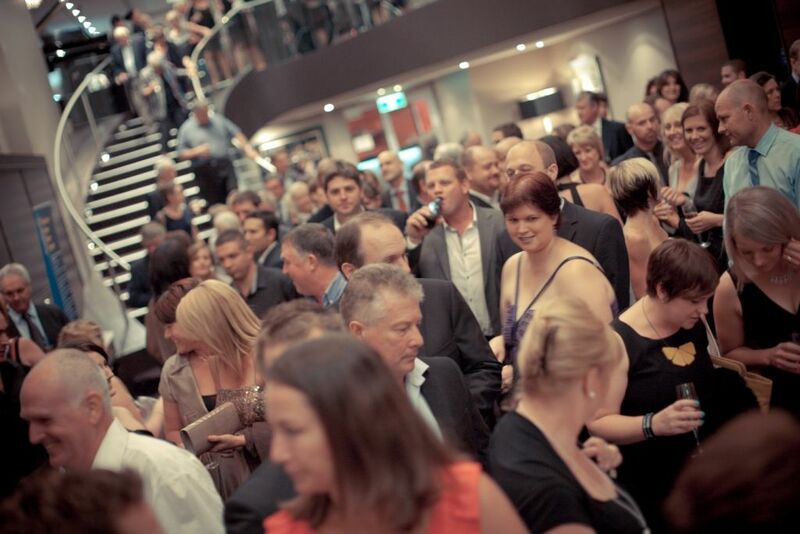 It was a huge achievement to get so many people from all over Australia together on one night with a common goal. The evening began with a montage video to paint the picture of what AS is, with beautiful photos of some of our precious angels. Andrew Morello, the first winner of Australian Apprentice, was our Master of Ceremonies. Andrew had an incredible ability to keep the guests focused on donating money. During the live auction, Andrew even managed to get two guests bidding against each other for nothing! This alone contributed $4,500 towards our total. We used an electronic bidding system for our silent auction, which allowed guests to bid on items without even leaving the comfort of their seats. Most importantly, the guests were able to see the rolling tally of our proceeds on a big screen throughout the night. Meagan Cross, chairperson for FAST Australia, did an absolutely amazing job as our guest speaker. Meagan’s speech was no doubt the highlight of the night. Meagan spoke about her own personal story with her daughter Molly and then touched on some of the research. Meagan did so in a way that captured the attention of the whole room. There were many, many songs of praise for her outstanding effort. We enjoyed a three-course meal with a spectacular band and, when all the formalities were over, we enjoyed the remainder of the night mingling, dancing, and spending money. We were often asked what our goal was for the night, and we always answered by saying we had no idea! As the night came to an end, we were blown away by the amount of money raised. Our campaign raised $85,000 AU, which was donated toward FAST Australia and finding a cure for AS!!!!!!!! I can assure you, we never thought we would raise a total as impressive as that. I still have to pinch myself. There is a little video to show a snippet of our night.